If you celebrated Easter last weekend, chances are you have some left over ham in your refrigerator. After burning out on ham and cheese omelets and ham sandwiches, I searched for a unique recipe that would use up my left over ham. 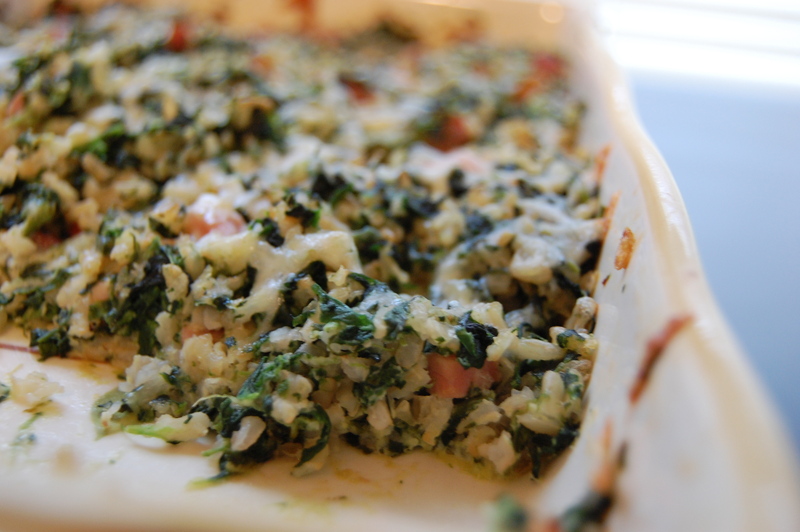 I came across this Spinach, Rice and Ham Casserole from Martha Stewart. 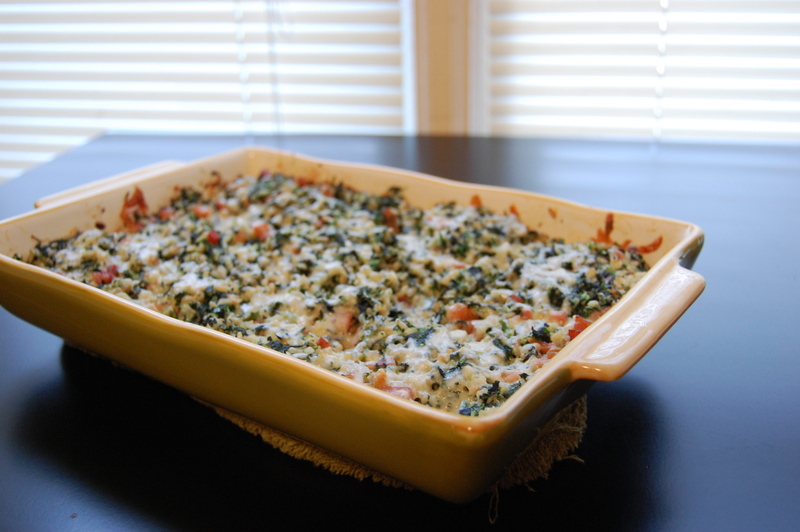 The ham gives this casserole a wonderful flavor and the cheese makes it slightly decadent. 1-1/2 tsp. salt, and 1/4 tsp. pepper. Be sure to squeeze as much water as you can from the spinach. If you don’t the dish will turn out quite mushy. garlic and cook for about 10 minutes, stirring occasionally until onion is translucent and beginning to brown. Season with salt and pepper. Add the wine to the onion mixture and cook about 3 minutes or until the wine is evaporated. Then, add the diced ham and cook about 2 minutes or until the ham is warmed through. Finally, add the ham mixture to the spinach and rice mixture and stir to combine. Transfer to a 8 inch square baking dish and top with remaining 1/4 c.
Bake 25-30 minutes or until the casserole is warmed through and golden brown on top. So I saw this recipe last night, and kept thinking about it…I hardly ever follow recipes and it usually takes me forever to get around to trying a new one. This evening I scrapped dinner plans and made this casserole (subbing leftover pork chops for the ham, and adding some sauteed mushrooms). It was delicious. Thanks for the idea.